I tried to avoid the news last Friday because I believe in self care and removing yourself from harmful situations when necessary. My plans for inauguration day were to write a bunch of code and then spend the evening with my friends, playing Dungeons & Dragons, drinking Evan Williams’ eggnog and making jokes about the i-nog-uration. 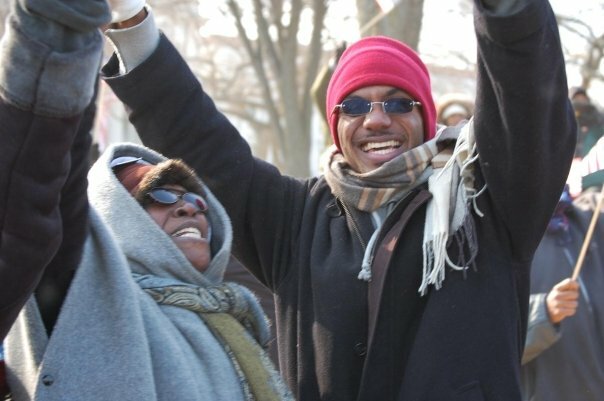 I briefly considered traveling down to Washington D.C. to participate in the protests, because I think protests are a great part of the civil process, but I decided it would be too much for me to handle (although I briefly second guessed this decision when I heard about the rave at Mike Pence’s house because that party looked like it was on fire). Of course I can’t stay off Twitter for 45 seconds so of course I saw all the news anyway. There was one tweet that particularly stood out to me. Besides being a contender for the most savage subtweet of 2017, I think these statistics are interesting and worth unpacking. So that makes it look like Obama’s first inauguration in 2009 was about 250% as big as Trump’s inauguration event yesterday. But that ratio doesn’t reflect actual attendance. The estimated crowd at Obama’s first inauguration was 1.8 million people and set the record for most rides in the Metro’s history, with 1.1 million total. By comparison, last Friday’s final number was 571,000 rides, which is less than the average weekday ridership of 639,000. Ouch. There is no official estimate of how many people who were in attendance but I have seen some media estimates as around 250,000 people. This discrepancy with the metro numbers was the first thing that got me thinking, but then the absurd claims from the Trump team started coming out. Originally I heard suggestions that “poor weather” affected attendance, despite it being almost 50 degrees at an event held in January. 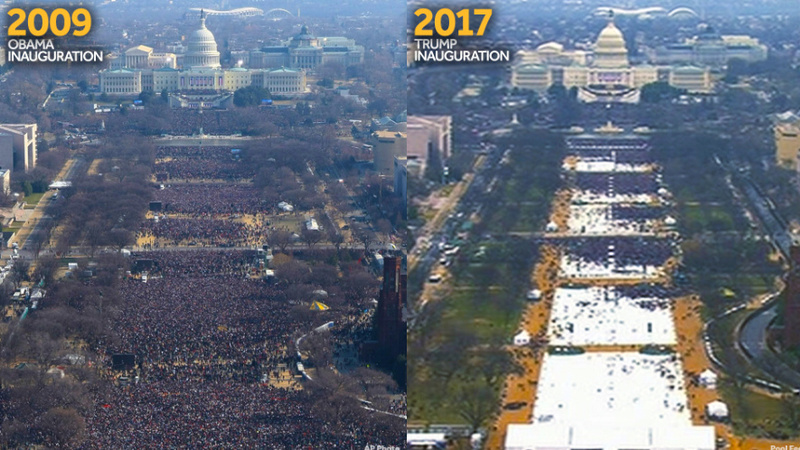 Next, of course, was the notorious Sean Spicer press conference with the blatant lies about it being the most widely attended inauguration in history. 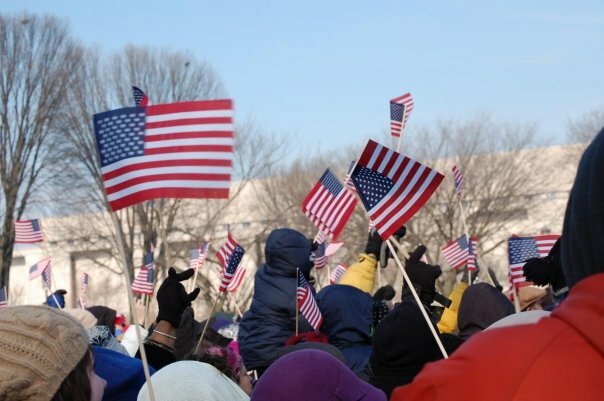 This all made me realize that I wanted to share a story that I’ve been thinking about a lot lately – my experience in D.C. in 2009 for Obama’s first inauguration. So get ready for me to lay down some facts about what it was like there. First of all, I didn’t ride the subway on 1/20/09. It was much too crowded for that. I arrived in Washington via bus before the sun came up after being stuck half the night in NYC, trying to get on a bus when all of them had been overbooked and were overflowing with too many people. I had to walk to the mall, and I did so with thousands, maybe tens of thousands of other people. Roads had to be shut down to accommodate our trek. 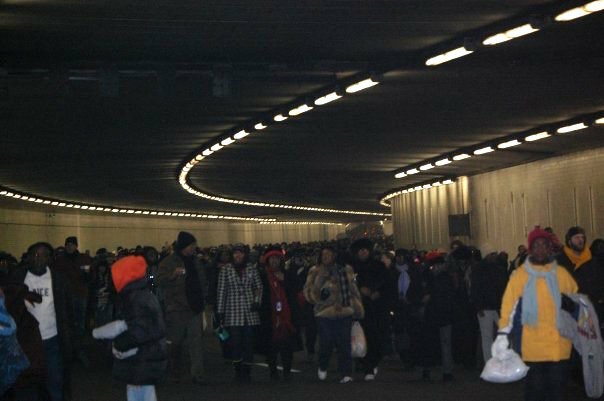 I’ll never forget walking through the interstate 395 tunnel and turning around to face an unending wall of people behind me, stretching farther back than I was able to see. And it was cold. So cold. Everything was booked up, so we didn’t have a place to stay and ended up outside for almost the whole time we were there. I remember talking to people who came from farther south and they were joking that since I was from Buffalo, shouldn’t I be used to temperatures in the mid-20s? I had to mention that I didn’t regularly spend 14 consecutive hours outside in Buffalo in the winter. 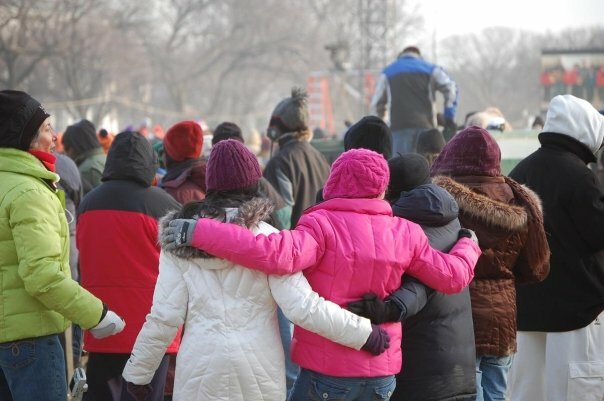 We were all freezing, but there was a sense of camaraderie surrounding how extremely cold we all were. I mentioned that there were 1.8 million people there, which was something I learned after the fact. It was hard to have any perspective, being in the middle of it, because it felt like such an incomprehensible mass of people. Thinking about my experience in 2009 and comparing it to last Friday made me feel sad at first. It was a large part of why I didn’t feel like I could show up in D.C. again, even to protest. The thought of tarnishing my good memories of that place was kind of devastating emotionally. But as I thought about it more, remembering how hopeful we all felt eight years ago, a sense of hope started to return to me. There was crying and hugging. People brought their kids out to witness a piece of history. Even though we’re experiencing a setback now, I try to think about that man I met and how unfair and hopeless things must have felt to him when he was a kid. 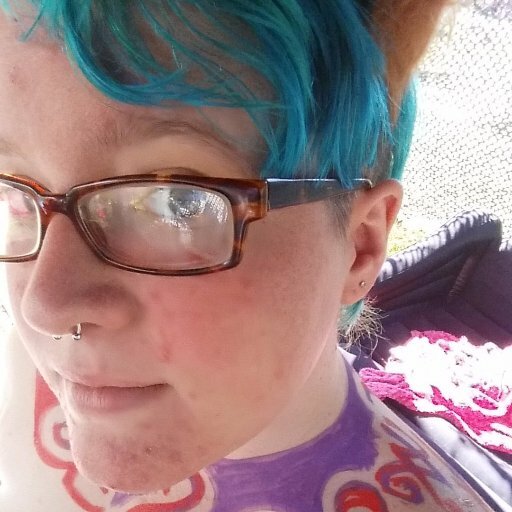 When people call me a freak and their words feel like they’re slinging mud at me on the street, I think about myself as an older person, visiting Washington again to witness the inauguration of our first queer president. Thinking about meeting that man in 2009 and hearing his story makes me feel like it could happen.